As I start to research each city we visit, I pin all the places I want to see and visit. Then as I continue through our time, I add pins as I find more places to visit and as I visit I remove my pins. It’s kind of like a running list of all the places I want to visit in a city. The only problem is in Chiang Mai … I was adding pins faster than I was checking them off. As I walked to a coffee shop on my pinned list, I would pass five more places I wanted to visit, and I’d add them to my list. Slightly maddening because I never actually made progress on my list. Entering my last week in Chiang Mai, I came to the realization that I was never going to get to all my pins!! I was faced with a decision; 1) give up and make one more pass through all my favorites or 2) push through with at least two pins per day … and still won’t get them all done. I posted on social media and got a mixed response, so I was left to make the decision on my own. It was a really tough decision, but I ended up doing a mixture. Of all the places I’ve visited, there were a few that I loved, loved, loved above all others. For these top picks, I committed to going back for one last visit — The Salsa Kitchen, Dash, Rustic & Blue, and a few other favorites. AND I took a hard look at my remaining pins and narrowed it down to a few that were at the top of my list like Impresso Espresso, Mango Tango, and Women’s Massage Center By Ex-Prisoner. As we leave Chiang Mai, I am happy with my decision. I really enjoyed one last visit to my favorites. None of them disappointed and they were all just as amazing as my previous visits. As for the new pins, there were a few disappointments and a few surprises, so I’m glad I didn’t miss the opportunity to check off a few more pins. Looking back and planning ahead, I think it is important to remember that while yes, we are traveling for a full year and yes, we are spending a good amount of time in each city, I don’t have to do “everything” on my list. 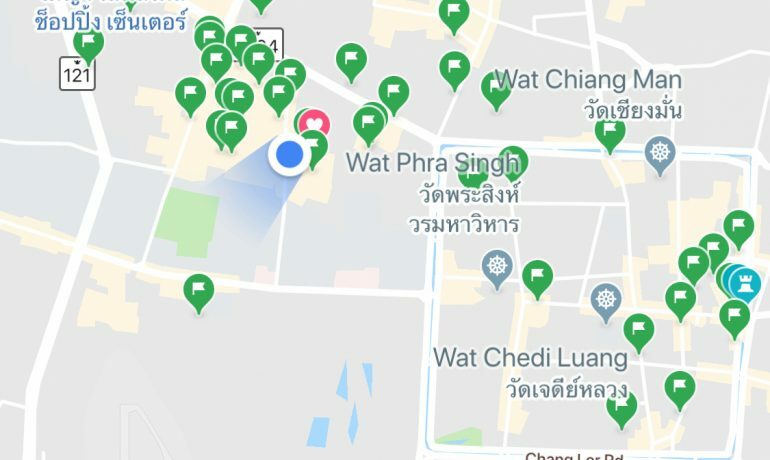 If anything, leaving pins on my list helps me decided where I might want to make a return visit to — and I can tell you now, I’ll be back to Chiang Mai! Keep an eye for a blog with all my favorites in Chiang Mai, as I did for Amsterdam. I’ve visited way too many amazing places not to make a list so that anytime I’m asked for recommendations, my list is ready. Just a midwestern family trying to show our little boy how great this world is.